In 1990, President George H. W. Bush proclaimed November as “National American Indian Heritage Month,” as requested in Public Law 101-343. Since then, proclamations and legislation have been passed to recognize the history and culture of Native American Indian and Alaskan Native tribes during the month of November. You can read many of the past proclamations and legislation on GPO’s Federal Digital System (FDsys). House Joint Resolution 271 – Designating November of Each Year as “National American Indian Heritage Month,” 1994. There are many documents related to designation of November as a celebration of Native American heritage. In addition, many documents about the celebration are available in Federal depository libraries located nationwide or online through GPO’s Catalog of U.S. Government Publications. 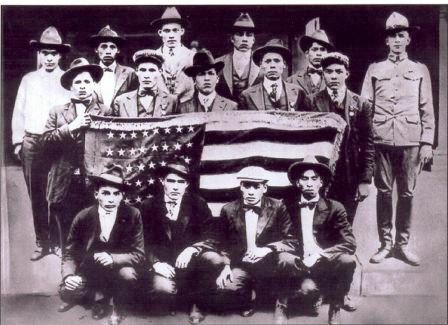 The effort to recognize and celebrate American Indian Heritage at a national level began a century ago. Dr. Arthur Caswell Parker, director of the Rochester Museum in New York and founder of American Indian rights organizations, persuaded the Boy Scouts of America to commemorate a day for “First Americans” in 1912. 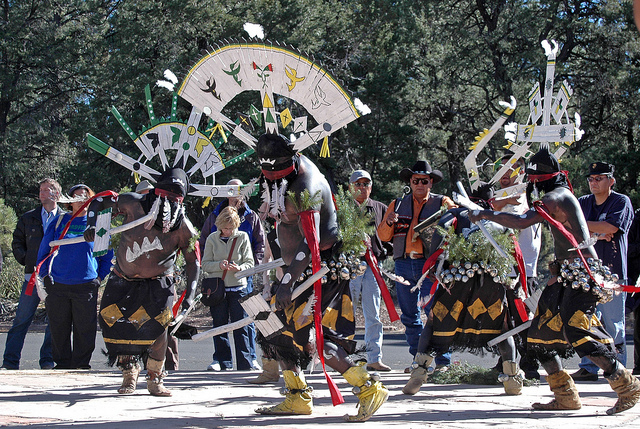 Several declarations by American Indian Groups have designated a day in May as well as September for commemorating Native Americans. Additional historical information is available on the U.S. Department of the Interior Indian Affairs Web Site. The site also provides a list of Congressional Resolutions and Presidential Proclamations. Many of those are available through FDsys, or in the collections at Federal depository libraries. The Library of Congress also has a Web site with information about Native American Heritage Month. President Obama made the 2014 proclamation on October 31. You can check the White House Web Site for other Presidential Proclamations. Historical proclamations are included in publications such as the Public Papers of the Presidents of the United States and the U.S. Statutes at Large. These can also be accessed in Federal depository libraries nationwide. Many States in the U.S. also celebrate a Native American Day. 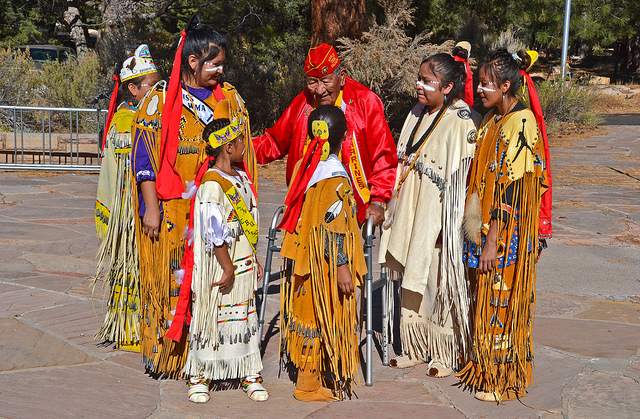 Recently the California State Legislature proclaimed the Fourth Friday in September as Native American Day. American Indian Day has been celebrated in Tennessee since 1994. In South Dakota, the second Monday in October is celebrated as Native American Day, rather than Columbus Day. 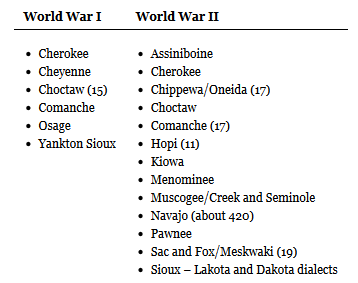 Codified State Law 1-5-1.2 states that “Native Americans’ Day is dedicated to the remembrance of the great Native American leaders who contributed so much history” to the state of South Dakota. Whether celebrating a day, month or year, you can take any opportunity to learn more about the history and culture of the indigenous peoples of North America. The National Library of Medicine recently created the exhibition Native Voices: Native People’s Concepts of Health & Illness. Visitors can see the exhibit in the rotunda gallery of the National Library of Medicine, or visit the traveling exhibition. The Exhibition opened in Honolulu Hawaii on July 18th, and is currently in Sulphur, Oklahoma until October 24, 2014. For those unable to visit in person, the Web site includes videos, timelines, and resources about the exhibition and content. The National Archives contains a wealth of records relating to American Indians from about 1774 through the 1990s. Their Web site provides a helpful research guide for accessing these collections. The U.S. Department of Housing and Urban Development has created an informative guide on Native American Heritage through the Indian Housing’s Office of Native American Programs (ONAP). 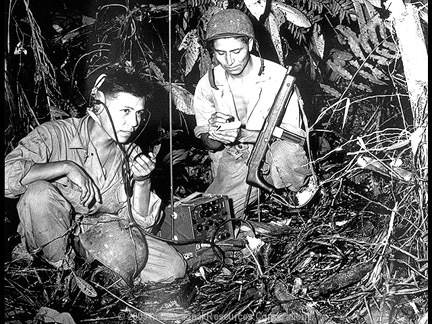 The U.S. Department of Defense also has a detailed Web guide created for the 2001 American Indian Heritage Month. The Smithsonian National Museum of the American Indian is a valuable educational resource visitors to Washington, D.C. can explore. Those unable to visit in person can explore some of the collections online. Handbook for North American Indians series – This series, produced by the Smithsonian Institution is an extensive reference set providing an encyclopedic summary of the prehistory, history, and cultures of the aboriginal peoples of North America. The Eagle Book series – This is an award winning series developed through collaboration with the U.S. Department of Health and Human Services Center for Disease Control and Prevention Native Diabetes Wellness Program, the Indian Health Service Division of Diabetes Treatment and Prevention, and the Tribal Leaders Diabetes committee. 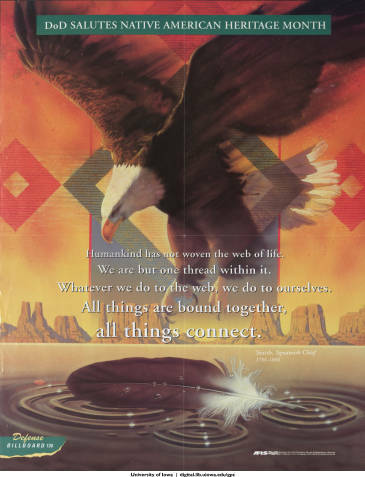 What began as the book “Through the Eyes of the Eagle” is now a full series written for elementary and middle school children and includes a guide for educators and communities. Nursery Manual for Native Plants: A Guide for Tribal Nurseries – Agricultural Handbook 730, produced by the Forest Service, is a coordinated effort with the Virtual Center for Reforestation, Nurseries, and Genetic Resources and representatives from tribes across the United States to create a manual with special attention to the uniqueness of Native American Cultures. There is also access to the full PDF online. The Children’s Bureau Legacy: Ensuring the Right to Childhood – History of the bureau from 1912-2012 is detailed here, including information about Indian Boarding Schools and the Indian Adoption Program. Iroquois Warriors in Iraq – This publication analyzes the role of the Iroquois’ Warriors of the UW Army Reserve’s 90th Division, which was deployed to Iraq in 2004. Regular Army before the Civil War 1845-1860 – This military history includes conflicts with Indian Tribes. U.S. Army Campaigns of the War of 1812: Defending a New Nation, 1783-1811 – This publication contains a history of conflicts with American Indians. Atlas of the Sioux Wars – This publication contains color maps and reviews the Army’s campaigns against the Sioux Indians from 1862-1890. Clash of Cultures: Fort Bowie and the Chiricahua Apaches – This recounts the history of the Apache Indians and the Apache Wars of the 1800, which ended with the surrender of their leader Geronimo. A NakNek Chronicle: Ten Thousand Years in a Lad of Lakes and Rivers and Mountains of Fire – This tells the history of the Naknek River region in Alaska from 8,000 B.C. to 1920 A.D.
Ublasaun, First Light: Inupiaq Hunters and Herders in the Early Twentieth Century, Northern Seward Peninsula, Alaska – This publication contains essays and photographs describing the people and their environment in Alaska’s Seward Peninsula. It also discusses the Bering Land Bridge, which once connected Asia and North America. About the author: Cathy Wagner is an Outreach Librarian with the Outreach & Support team in the Library Services & Content Management (LSCM) unit at the Government Printing Office.